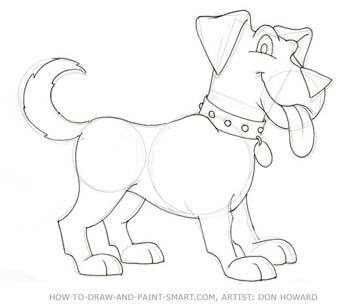 Learn How to Draw a Dog Cartoon. 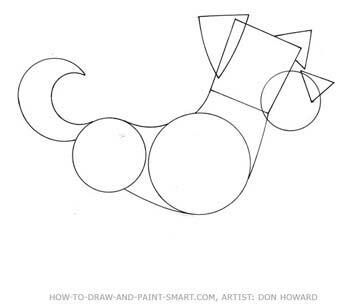 Whether you want to draw a Collie, draw a Poodle or draw a Pug, the secret is in getting the basic shapes down first. Once you have the basic shape you can layer on the unique characteristics of each cartoon dog. 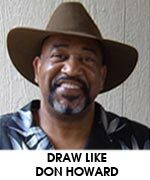 This holds true whether you want to draw a cartoon dog or draw a realistic dog. Admittedly, drawing a Great Dane is a bit different than drawing a Chihuahua and each will require a different set up. The great thing about drawing a cartoon dog is the opportunity to exaggerate the dogs features. Think of some of the famous cartoon dogs like, Marmaduke, Lady from Lady and the Tramp these dogs look and act pretty much like dogs. 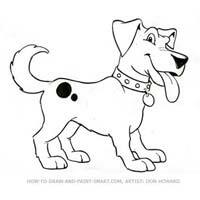 Some dog cartoons look and act more like people, for instance, there is Snoopy, and Scooby Doo and Mickey Mouse's dog Pluto. These cartoon characters get up and walk on their hind legs and behave like people. Once you have learned how to draw a cartoon dog, you can adapt the techniques you have learned to create your very own cartoon dog character. It is good to look at pictures of the dog you are making into a cartoon so you get some of the unique characteristics worked into your drawings. For example, we recognize a bulldog by it's flat face and jutting teeth. I always enjoyed the bulldog in the Tom and Jerry Warner Brothers cartoons. It seemed that Tweety bird would some how manage to get Tom into the back yard where he got chewed on by the bulldog. Many schools have dogs as their mascots. The bulldog was a popular image to paint on t-shirts when I was painting on the beaches of Panama City Florida. we had a lot of Georgia bulldog students and fans come down for spring break and throughout the summer. It was my goal to make that Bulldog look as mean as possible! 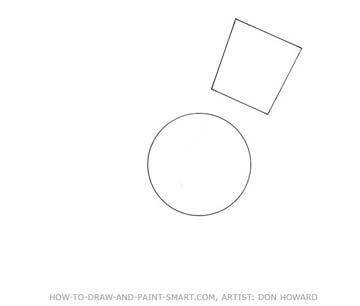 Now let's get started with the "How to Draw a Cartoon Dog"
Start be drawing a rectangular shape for dog's head and a circle for his upper body and shoulders. Connect the head shape to the upper body with some gentle curves. Add a circle to place the hips. Now here is where it really starts looking like a dog. 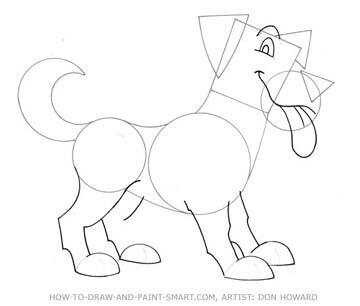 Add some triangle shapes for the ears and nose Aden give your dog drawing a tail. Follow the drawing carefully to draw dog paws and legs. A dog's back legs bend differently than the front legs. To draw a cute dog give a big smile with his tongue hanging out. If you want a mean dog make him frown or show some teeth. Draw a hump for your dogs eye and another hump for the brow ridge. 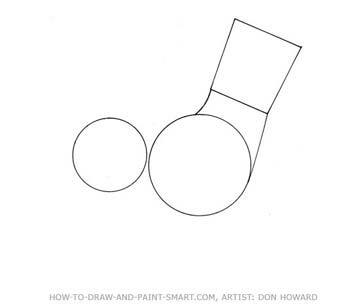 Outline your sketch and erase the shapes you used to establish your proportions. refine your the edges of your dog drawing as you clean it up. While you are at it, go ahead and give your dog a collar and a dog tag. 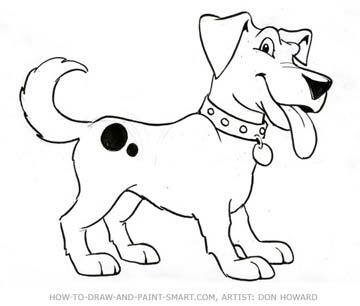 Using a marker or pencil, darken in the dogs nose, eye, and areas of shadow. You can add some spots to your dog if you wish. "How to Draw a Cartoon Dog!" Another online tutorial for How to Draw a Cartoon Dog, but in a 3D software. Learn more about Fictional Dogs at Wikipedia.